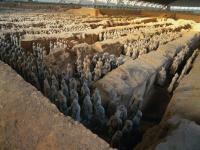 Terracotta Warriors and Horses Museum is located at the foot of Mountain LiShan, east of Xi'an. 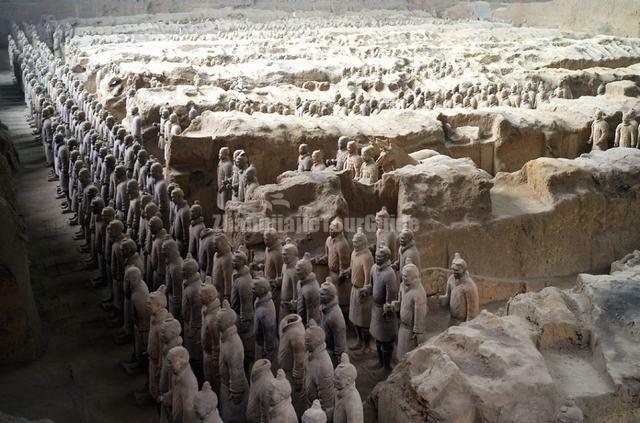 It is a collection of terracotta sculptures depicting the armies of Qin Shi Huang, the first Emperor of China. 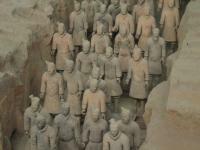 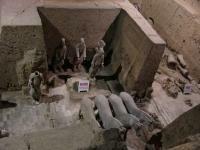 It is a form of funerary art buried with the emperor in 210–209 BC and whose purpose was to protect the emperor in his afterlife. 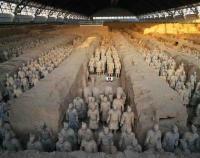 Qin Shi Huang, his name was Yingzheng, he came to the throne at the age of 13 and seized the power at the age of 22. 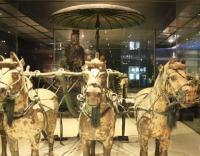 When he was only 39 years old, he had annexed all the six independent states and established the first centralized autocratic feudal empire in the long history of China.